Ah yes, I can remember it quite well. The year was 1998, when I was a loyal and somewhat ambitious accounts representative for the River Horse Brewing Company. On this particular evening I was assigned to hold court at a pub in Kutztown, Pennsylvania, where I would be hosting a “River Horse Night” at the bar. My job was to provide samples of River Horse's fine product to the customers and to push the beer in whatever way I could. Usually when I hosted such promotions my task was not all that difficult, because the beer was genuinely good and when people tried it, it tended to sell itself. But not on that night. Tried as I might, I had little success in prying people away from their chosen libation for their celebration. The bar folks that evening had an almost fanatical fervor for one product, and one product only: the pale golden beer in the clear bottles, usually with a twist of lime. The ubiquitous Corona ruled. Can you guess what day it was? Naturally, it was May 5, which can only mean one thing: CINCO DE MAYO! As a result, there was no competing with the Mexican party atmosphere that prevailed, and after a few hours I had to admit defeat and give in to the throng. As the old saying goes: if you can't beat 'em, join 'em. Cinco de Mayo is an interesting holiday. A lot of us who aren't up on our Mexican history (quite a few of us, I suspect) erroneously believe that it is Mexican Independence Day, the south-of-the border equivalent of the Fourth of July. But in reality, the date of our southern neighbor's independence from Spain was September 16. Cinco de Mayo is really a celebration of the victory of the Mexican militia over French troops in the Battle of Puebla in 1862, solidifying Mexican sovereignty and striking a blow against European imperialism. One may pause to wonder why Americans would go out of their way to celebrate this holiday. One could argue that perhaps we share a tinge of collective guilt about our nation's own past expansionist tendencies, such as our significant territorial gains in the Mexican War back in the 1840's. However, the best explanation may simply be that we Yanks will seize upon any excuse for a good party, and how a Mexican brewery built upon this tendency with brilliant marketing. Corona, or Corona Extra as it is officially called, is a light, delicate lager, with a clean flavor and very restrained in the hop bitterness. It was originally brewed mainly as a quenching refresher for farmers and field workers in Mexico. In a hot, often arid environment, a light-bodied brew that did not stupefy or dehydrate the drinker was the order of the day. But one day, someone with very good business instincts realized that the imagery that could be associated with such a brew would play with a much larger drinking audience in the United States and elsewhere. As it turned out, the beautiful visions of glowing sunsets, cell phones being skipped into the ocean surf, and mesmerizing scenes of gorgeous ladies in bikinis proved irresistible to millions of beer quaffers in America and around the world. Who can argue with them? 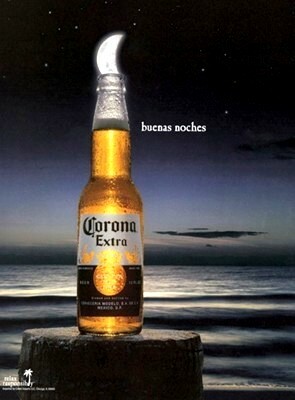 One day I had my own fine time with Corona. During a Mexican-themed wedding shower that I attended with my wife, I was forced to retreat to a bedroom for the duration of the afternoon since the shower was a “girls only” affair. I spent the course of the remainder of the day enjoying several Coronas (without the lime, thank you) while watching animated features on television. It proved to be a thoroughly clean and potable session beer, and when I was done I was pleasantly surprised to discover that I could still stand and talk coherently. I still passed the keys to my wife for the ride home, however: there's no taking foolish chances after a steady day of imbibing. Despite its overwhelming popularity, however, one should not be led into thinking that all Mexican beers are pale, light-bodied lagers like Corona. One only needs to dig a little deeper to discover that Mexico has a surprisingly diverse brewing heritage that was spawned in Europe. During the 19th century Mexico was actually visited by a number of German brewmasters who helped to lay the foundation for the fledgling Mexican brewing industry - a tradition that continues to this day. 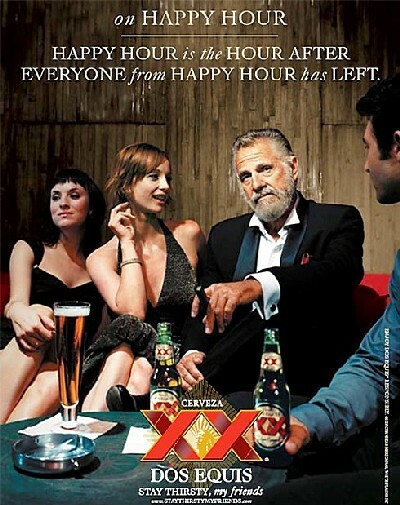 One such beer that exemplifies this brewing tradition is Dos Equis. This tasty beer is deep amber in color, with a moderately malty profile and features a low-to-medium hop bitterness. Dos Equis currently has its own elaborate marketing campaign, featuring “The Most Interesting Man in the World.” To be honest, I don't know how interesting this chap in the commercials really is, but the beer itself commands interest enough. Without a doubt, Dos Equis is a faithful reproduction of the European Vienna style of lager, a milder relative of the Octoberfest beers of Germany. Another fine example of the Mexican brewing art can be found in the beermaker known as Modelo. Like Corona, Modelo is a leading brewer in Mexico and like Dos Equis, it relies heavily on the classic European formula. Modelo Especial is a pale lager brewed broadly in the Pilsner style, though perhaps with a bit less hop bitterness than an offering from Europe would have. 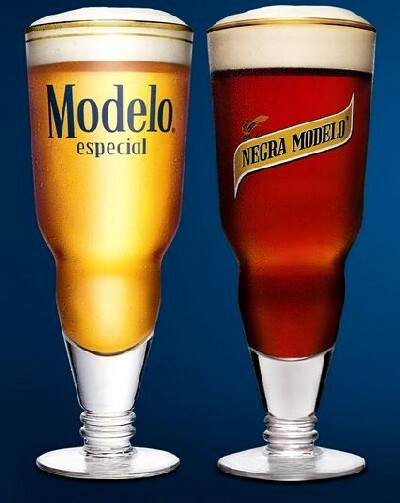 My personal favorite among all Mexican beers is Negra Modelo, the dark version. This brew somewhat resembles the German dunkel style of lager. It is remarkably smooth, with a touch of chocolate-like richness without being overpowering. To paraphrase an old slogan, it is most definitely the one dark beer to have when you're having more than one! Without a doubt, a journey to discover Mexican beer can be a most surprising one to those who believe that one must look to the other side of the Atlantic to find a good lager. Until recent decades, it might actually be argued that the folks south of the Rio Grande were more faithful to Old World recipes than up here in the States. In spite of the great modern microbrew movement here in America, Mexican brew is still worth a serious look. And I won't discount that light lager in the clear bottle with the lime, either. After all, sitting back on a clear beach with a cold one and tossing that Blackberry phone into the surf sounds like a most worthy pursuit!